Sisterlocks and Primary Wire…My Word!! Rolling my locks has never been a favorite pastime for me, although I must admit I love the styling versatility I experience when my locks are curled. So far I’ve used electric curling irons (never to be used again, seriously!) straws, sponge rollers, pipe cleaners, perm rods, flexi rods, brown paper bag strips and Lock Loops. I found that the paper bags strips, pipe cleaners and Lock Loops were by far the most comfortable to sleep in. 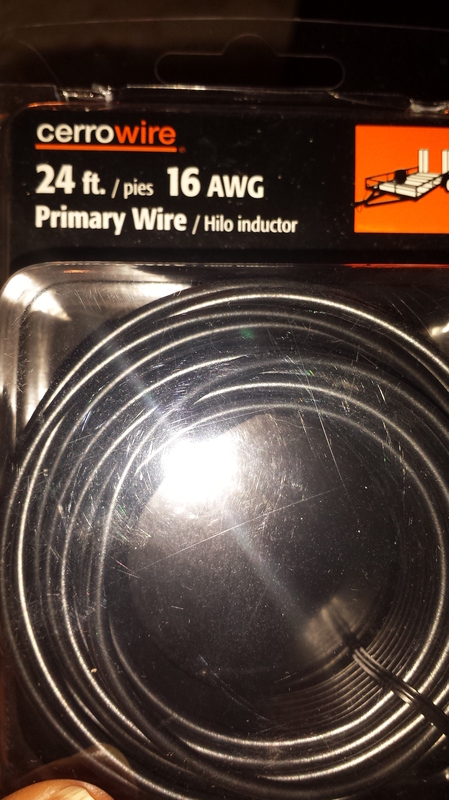 On tomorrow I plan to use primary wire to roll my hair, you read that right, primary wire! I saw someone on Face Book that had rolled their hair with the primary wire and boy was it cute! One of the comments she made was that the primary wire was easier than the pipe cleaners to remove. I purchased the primary wire from Home Depot, I checked with someone in the store that was knowledgeable about the wire and he said it would be safe to use to roll the hair. I didn’t want to have a radioactive head of locks, lol!! Sooooo, I decided to give it a try, I’ll post the steps I used as well as the results on Saturday. What have you used to roll your hair? ? Post in the comments section. See ya on Saturday with my primary wire curled Sisterlocks!